bebop spoken here: The Other Way - Lee Konitz @ The Pizza Express. Hi Lance. Yes, I agree that the second half of the Lee Konitz set was stronger than the first. I think the band connected a lot better as the gig progressed. Konitz did say at the start that it was the first time the 4 of them had played together. I particularly enjoyed Cherokee and What's New. 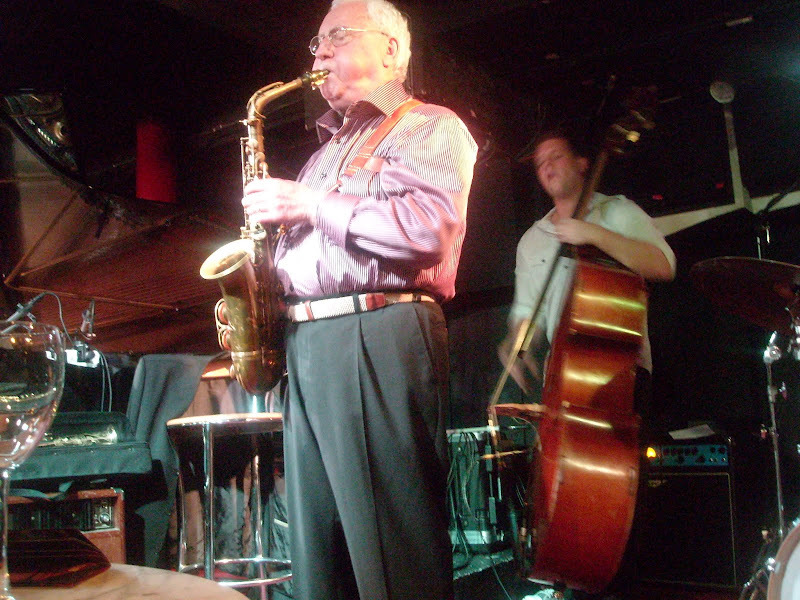 I spoke to Lee Konitz afterwards who shows no signs of slowing down, even harbouring ambitions of playing back at Ronnie Scott's one day...talking of which, Roy Haynes was on great form on Thursday night. At 85 years old he plays with the speed and guile of a man half his age. Catch him tonight if you can. With a combined age of 167 years (Konitz and Haynes) jazz is still in very good hands with the old masters. Alas Richard, I am now back up North so have had to miss Roy. Pleased you enjoyed.